These occasional ash plumes, brownish in color, appeared to have risen calmly from the crater (without much impulse). Hence, they were probably not driven by near-surface explosions, but rather deep-seated activity inside the conduit; their brownish color furthermore suggests that the ash came mainly from older fragmented rock instead of fresh magma, although this is difficult to judge from webcam imagery alone. INETER has not yet commented on the activity. In its last bulletin from 5 May, activity was described as "usual". Internal micro-seismic activity continues to be at high levels according to INETER's latest report. The risk of sudden explosions from the crater remains considerable and people are advised not to approach the crater. 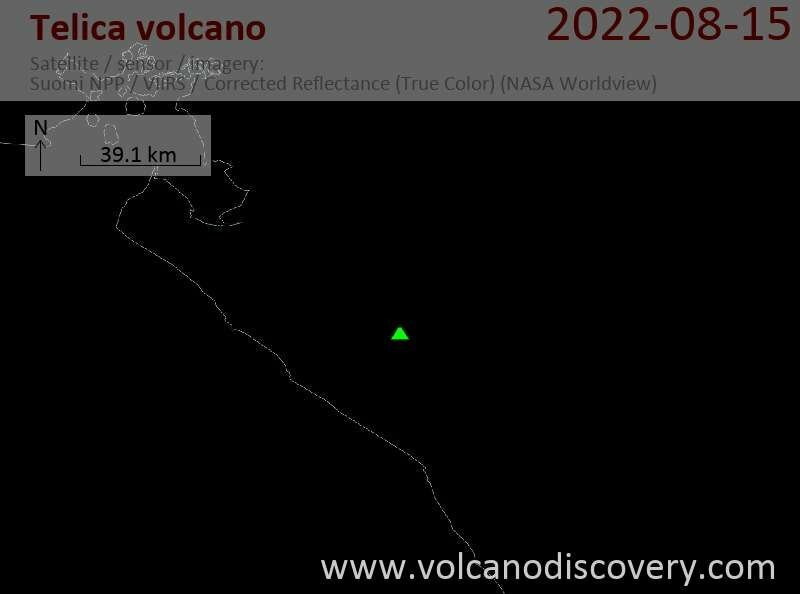 The volcano has remained mostly calm during the past 24 hours. Sporadic weak ash emissions occurred at night, but glow could no longer be seen from the crater. Intermittent, weak ash emissions continue to occur from time to time. Glow from a small amount of fresh lava inside the crater remains visible at night. Nicaragua's volcanoes remain in a particularly active state. A series of approx. 12 small explosions occurred at Telica volcano on Saturday morning, the Nicaraguan Institute of Territorial Studies INETER reported. Ash columns from the eruptions rose from 300 to 1000 meters above the crater.